It was New Years Day (night) and it was near zero degrees outside. The shelter was full and things were going on that usually go on. Men of all sizes, ages and shapes lined up for check in at 7:30. The mats were filling up. Guys were assessing where the most quiet place to sleep may be in a room of 30 other men. Some were taking off their frozen, wet shoes to dry and warm their feet. Questions popped up like, “Will you be opening the donation room? I need some socks.” or “Will there be a devotion? I don’t want to miss it if there is.” It was pretty calm and people were generally thankful after a cold day. While we look forward to helping with the usual things, our goal is that every little thing combine with or becomes some big thing that brings life change for each one who comes in. A prayer we earnesstly prayed recently was for God to send people with personal, overcoming testimonies that would speak to the hearts of those who need to hear just the right words. The new year began just that way. On New Year’s night, it was about 7:30 and we were doing the usual things: putting away donations that we’d received and organizing them, connecting with staff about issues, and getting men checked in. Next to the sleeping room, we have a lovely fellowship room the guys enjoy with carpeting, tables and chairs. I was setting out warm cornbread for the snack that night chatting with some of the guys about kids and school. It’s good to see the older guys sharing words of wisdom with some of the younger ones who really need it. This older man shared a bit of what he got angry about. He and his wife had just checked his son in the hospital. He was sad about his son, more than sad, heartbroken and had said some harsh words to his son then left the hospital and started walking in the frigid weather. His son was in the hospital for the same reason some people end up on the streets, he was stuck in addiction. As we talked I realized how hard it must be for him to face that his own son could end up homeless soon. “I used to be a drinker,” he said, but I gave it all up. Now, I just pray my son will do the same. He took some cornbread and I invited him to sit down and wait while we finished, then we’d take him home. He chose a spot next to a man I’ll call Mark. Mark has lived on the street a long time, and though in past years we’ve had a good relationship, he hadn’t said much to us so far this year. Our visitor and Mark politely introduced themselves to one another. Our old friend was a very friendly fellow, but he’d had a hard day and was not in the best condition that night. As I finished serving cornbread, the Visitor started talking freely, telling Mark his life story. “I was once in bad shape but forty years ago I made a life change. I was on the hard stuff, down south, rode bikes with the Outlaws, long pony tail, earring…tatoo,” he lifted his sleeve to show his gang ID. You’d never know this sweet little man was once the mean, old drinking maniac he described. I sat down to just listen… Behind me, a faithful older man recognized the importance of the moment too and said quietly to me, “God is speaking to him ;)….” “I know!” I whispered back excitedly. New Guest sat down to tell his story of drinking and gang life and then his story of romance, when he gave it all up because of love. He met a girl who was worth it all to him. This was a longer, amazing story of sacrifice and change and he could never know how relevant this story was to Mark, who’s eyes were tearing up at the end. The story opened a door to talk again, to pray again with hope. Mark saw what was possible and what it would require. “Where there is no vision, the people run unrestrained (or perish)” the Bible says. But there was a vision tonight. Hope was cast and Mark reached out his hands for prayer, sharing the hard conversation he had in his own relationship, that was not going the way it could. We prayed for even more love to fill his heart, enough to bring this situation to fruitfulness. We prayed for overcoming love, like our new friend had, like Jesus had for people who others might think are hopeless. It’s never too late to start a new day. We drove our Visitor home. He was eager for us to come in and meet his family, and especially his autistic grandson whom he had raised. (That is another moving part of his story.) He beamed as he showed us his family pictures and we prayed for his broken father’s heart, that God would bring a bridge of communication and restoration between him and his son. He did get something he wanted that night. He got a chance to be a Father to someone who needed to hear him, and who would listen. His story made a difference to someone that night, even while he felt the pain of his own son’s lifestyle. God is a God of redemption and encouragement. Keep praying please. We can feel and see the effect of your prayers this week! This week has been full of God stories at Project Warm, but there are also stories waiting to happen all around you. Share what God can do and did do through your own story. You never know who may need to hear it or where he may take you to do it. It has been two weeks since weather amnesty has opened. I often find my mouth open but with no words adequate to describe what experiences we’ve had. God has shown mercy. 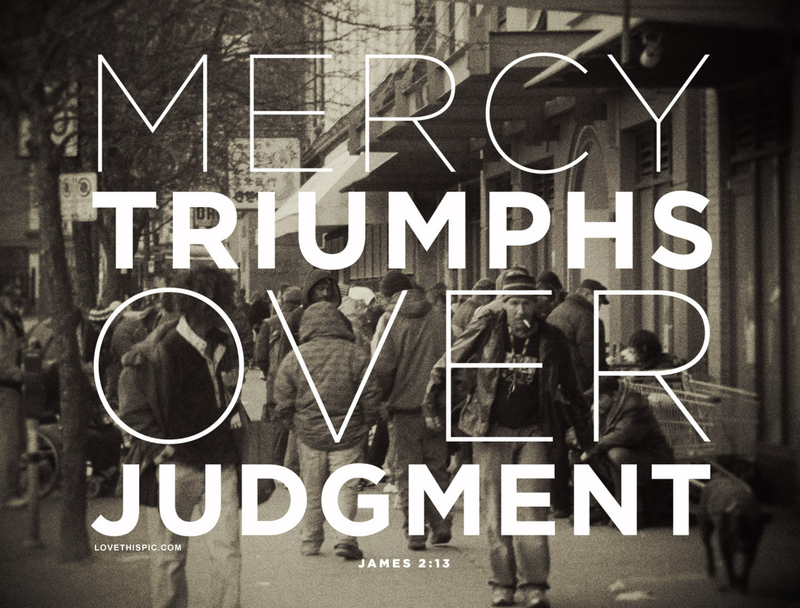 He is always ready to show mercy. Whether we receive it into our hearts well or not, God has his hand out for us, waiting for us to grab it. As a volunteer at Project WARM, sometimes we are put between God’s hand and the hand of someone who feels that they could never be worthy of grabbing that hand, who believes it’s not really there for them. Being that hand is love and love isn’t always easy, but it’s always rewarding. It can hurt as you feel the pain of others. It can mean taking on the despair someone else feels for a time and releasing it to God in prayer daily. If you are available, God wants to use you. He needs someone who cares enough to pray, like you would your own children – because you really don’t know if anyone’s every done that for them. It makes a difference. Love could mean that when you see your dad, you think of someone else’s dad, who’s kids went off the track and got messed up with temptation – and who now can’t fight the depression and voices of failure that ring so loudly that self-punishment seems the only option. 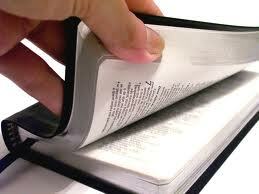 Messages of failure abound, but where the enemy screams “Unworthy!” and our minds shout “Failure!”, God says, “Look! Take that person’s hand and let them show you what my mercy feels like.” If you have received mercy, you may remember what it feels like. It feels good. It lifts your head. It lifts your soul. These first two weeks of Project WARM have been full of helping others to see through different eyes. Frequently, a guest will get impatient with another guest. It’s hard to have no where to go but Project WARM. In these first two weeks, we’ve not only had to extend mercy, but teach mercy, helping one see the other person through the eyes of Jesus, taking them into the hurt that he sees coming out as anger or insensitivity. Hearts have softened. It’s ok to step in and help with the wisdom God has taught us. “Iron sharpens iron.” Sometime we sharpen and sometimes we are sharpened. The body of Christ needs the parts to work together, no matter what our position in life, we have things to learn from those who’ve learned hard lessons. Hope needs to be shared. What causes us to be homeless? Sometimes Project WARM is a place of refuge when a relationship problem occurs or where one waits to get unemployment cleared. For several we know, WARM is where a lonely man grieves for a spouse who died and meant everything, sometimes for a week, sometimes for years. Already this year, some of our guests know that WARM a place where someone believes you can be “fixed,” as one guest said, so you fight through the distractions the enemy sends to you every day to get in the door so hope can get a hold of you. They aren’t always ready to scream yes right away, just as we aren’t, but they come to get warm and hear words that fight the lies they believe about themselves. Jesus is hope and that there is not one person who is not worthy of the same mercy we have received. A volunteer has an important role because when we are trapped in lies of unworthiness, we sometimes need to hear over and over, night after night, that God has not given up on us, before we will extend out our hand to receive prayer. When we finally find strength to receive the hand of God in our lives, God is faithful and his displays of help and mercy leave me speechless and in awe. The stories we’ve heard in the first two weeks of answered prayer, emotional freedom and thanks humble us. Often what we share with guests is that God has a purpose for them right now. No matter where they are, jobless or thriving, drunk, high or just bored, God has a use for them today. Merry Christmas season to you all. May the reality of his mercy overflow in your hearts and the power of the truth bring the freedom to your hearts as you serve Him daily. This post is written by our donations coordinator Dana Bunch. She has a heart for this ministry and does more than anyone realizes to ensure the guests get what they need during the season. I get asked all the time why I volunteer at Project WARM and have a heart for the homeless. I am not a writer, but I am going to try to explain why. One of the main reasons is I can see how it can happen. Have you ever lost a job but were fortunate to have someone let you borrow money. Better yet had money in the savings to get by on until you got umeployment? I have. What if you didn’t have someone to help you? How long would it take you to become homeless? Have you ever had an illness that caused you not to be able to work? Or a family member that has so many medical bills it makes it difficult financially? What if they were so much and so overwhelming it made you lose everything? Have you ever fought for our country and came back and someone had taken all of your money and you had no one? Have you ever been so depressed you can’t function and lose everyone or had no one who cared? Have you ever had an addiction that caused you to make bad decisions? Have you ever had a couple too many to drink and caused an accident? Or were you just fortunate to make it home without causing an accident or getting caught? There are alot of events that can happen to lead to homelessness. Does that mean that these people don’t matter to us or God? Maybe you can identify with these events. If so, you should consider volunteering, donating, and/or praying for these men. Maybe you cannot identify. If so, you should consider volunteering, donating, and/or praying for these men because you are really blessed if you have not or do not know anyone who has been through these events. The most important reason to volunteer, donate, or pray for the homeless? Jesus was the ultimate example of how to treat the homeless. He prayed for, talked to, healed, and helped them. 1. Give your time – A few hours given back can make a radical difference in someone’s life, including yours. It’s easy to sign up (Click on the “Volunteer” tab above) and volunteering can be very fulfilling (and easy!). 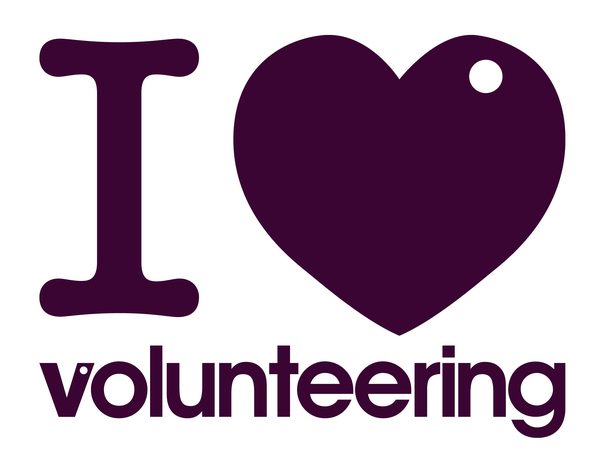 Check out the “What Does A Volunteer Do” to find out what to do when you volunteer. 2. Donate needed items for our guests – To find out the latest needs at Project WARM check out the “Donations” tab above. 3. Make a financial contribution – A financial contribution can be made through out partner organization, Hope Ministries and that information can be found under the “Donations” tab above as well. Thank you for giving to Project WARM this season! Giving a message – Here are some tips! In the evening message or devotion, we want to show the inviting nature of Jesus and his mercy and kindness that leads us to repentance. Much of what you will find at Project WARM is hopelessness, hurt, guilt, and shame. Where there is no hope, there is nothing to have faith for. “Faith is being sure of what we hope for and certain of what we do not see.” When preparing a devotion, it is important to recognize that many of our listeners have not yet taken the first step in their walk in faith, or they are at the beginning. Most of us who will offer a devotion have traveled much further in our faith walk; therefore, devotions should share the love and grace of God and invite listeners to begin a relationship with Jesus Christ. Sometimes we forget this important first step and dive right into repentance and transformation, which is important to talk about, but not always right at the beginning. There are a few ways to approach this. Messages should be 5-10 minutes or so, not including discussion or prayer which may follow. It’s very basic: a presentation of a scripture and then a brief interpretation identifying how grace is offered in the story followed by an invitation or an example of how grace is offered in our world. Drawing people to Christ and to the Gospel should be the focus. Reveal his grace, reveal who he is, reveal who he made us to be. Plant seeds of purpose and hope.